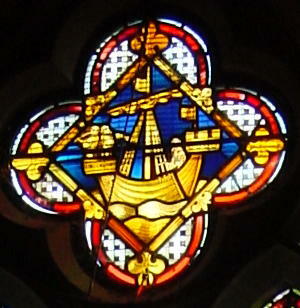 Cinque Ports Ship window, Council Chamber, Maison Dieu. During medieval times, Charters were issued detailing the rights of the citizen and over the centuries, Dover had several granted by various monarchs. Dover’s earliest one was dated the 14 September in the 6th year of the reign of Edward II (1307-1327) and appertained to Channel crossings. As a Cinque Port, Dover was included in the Cinque Ports Royal Charter of 1155. 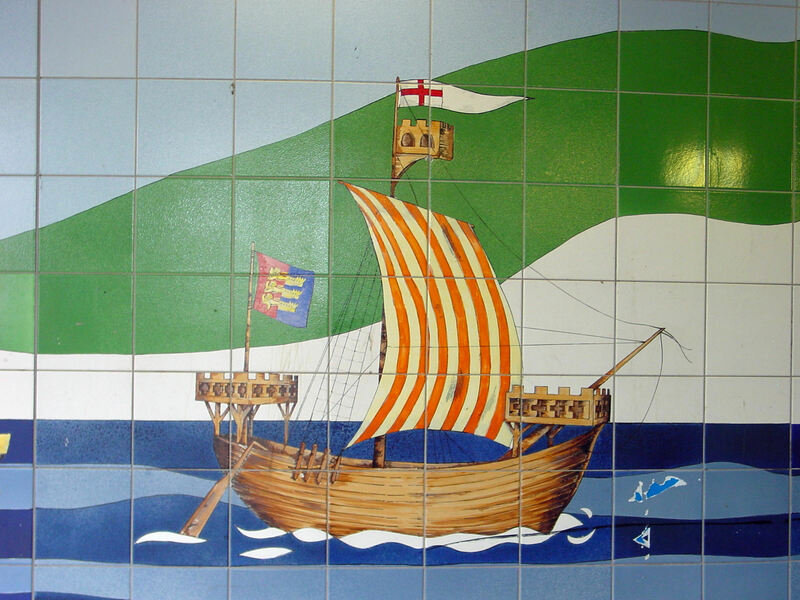 The Cinque (pronounced ‘sink‘) Ports are: Dover, Hastings, Romney, Hythe and Sandwich, whose citizens were fishermen. Their expertise as sailors was recognised by Edward the Confessor (1042-1066) and it was also noted that they were master shipbuilders whose boats were strong enough to withstand the conditions in the Channel and the North Sea. In 1050 he proclaimed that the five towns along (the two antient towns of Rye and Winchelsea joined later), would provide ‘ship service’. This was the provision of ships and men for 15 days a year to defend the realm and in return he gave the towns many rights and privileges. Cinque Ports Ship. Townwall Street subway mosaics. Take possession of lost goods that remain unclaimed after a year, goods thrown overboard, and floating wreckage. They were also given the right of the King’s Truce when, from the Festival of St Michael (29 September) to St Andrew (30 November), citizens were immune from arrest for debt or civil actions. In 1277, Edward I (1272-1307) called on the Cinque Ports Fleet to mount a blockade along the Welsh coastline to stop French aid during his campaign against Wales. The Portsmen both inflicted and suffered heavy losses but overall they helped to secure victory. As a reward, the following year, 1278, King Edward granted the first great comprehensive Charter to the Cinque Ports. The earliest Charter relating strictly to Dover was dated the 14 September in the 6th year of the reign of Edward II (1307-1327). This, recognising the importance of the town’s role in the Cinque Ports fleet was particularly generous and appertained to Channel crossings. 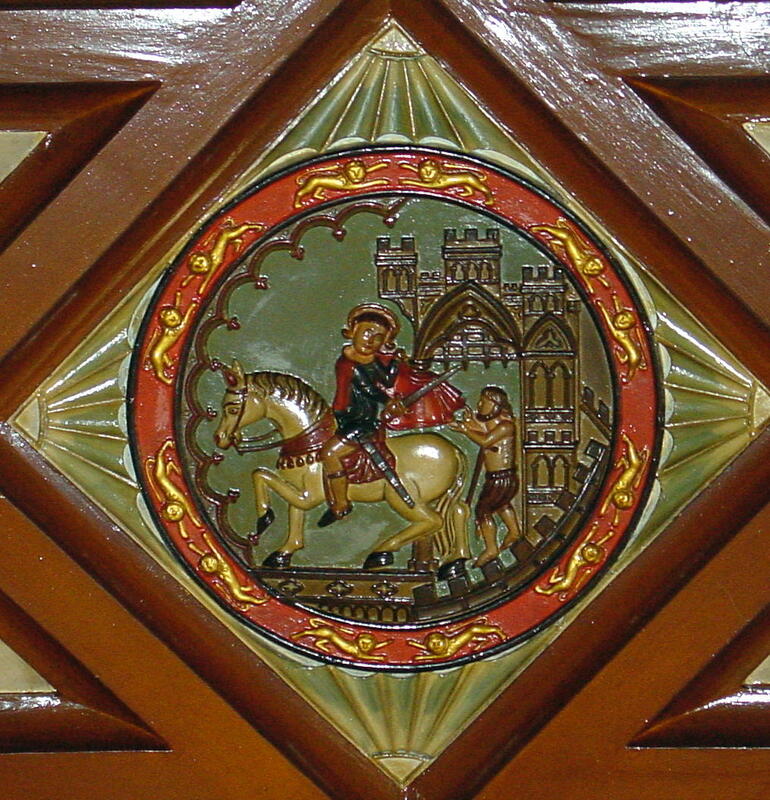 Plaque depicting St Martin, the ceiling of the Court Room, Maison Dieu. 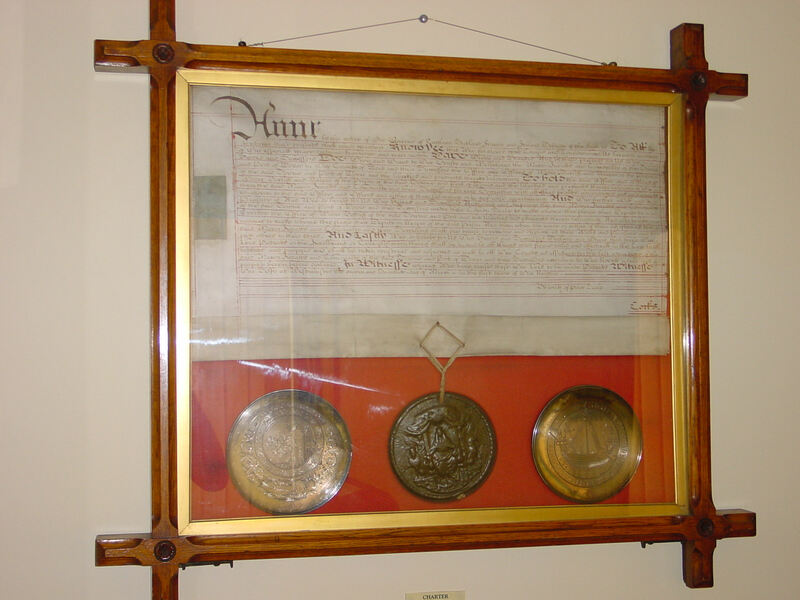 Following this Charter, the town was the recipient of others including one relating to St Martin’s Fair. St Martin is Dover’s Patron Saint, whose feast is 11 November. From Saxon times this was celebrated and initially lasted three days. About 1160 the Fair received a Royal Charter and the number of days increased to ten! 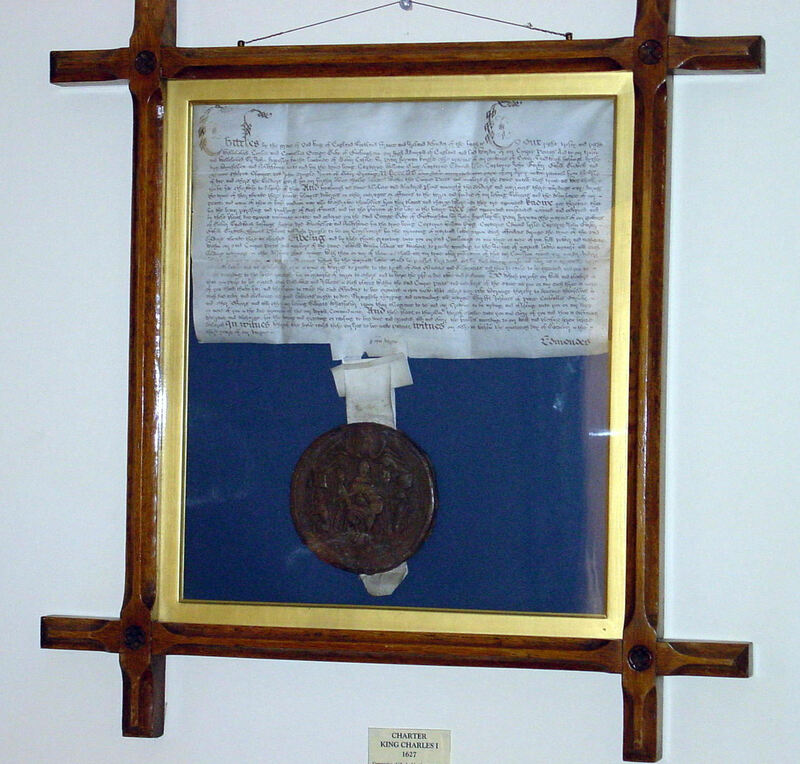 Under the Charter, the Corporation were given the privilege of holding a court of Piepoudre, where disputes were settled and fines levied. The town was allowed to keep these fines. Between 1365 and 1438 Dover received six Charters from the Kings of the time, appertaining to land grants and the liability of ship service. However, due to the silting up of harbours, many of the Cinque Ports were losing their access to the sea but Dover, although having similar problems, was still in a sufficiently powerful position and these new Charters were significant in creating a separate identity to the Cinque Ports. This effectively meant that increasingly the town was given more autonomy and as successive kings handed over more rights the profits to the town increased. However, the kings did require their dues (taxes), as well as loyalty and ship service that were particularly important for the country was going through a long recession with merchants objecting to taxes paying for the king’s ships. Elizabeth I (1558-1603) renewed most of the town’s ancient chartered rights but Charles II (1660-1685) in the 1683 Charter revoked them. William III (1689-1702), however, overturned the revocation, following the Glorious Revolution of 1688. These days the Charters are of mainly historical value but sadly, many of Dover’s ancient Charters has been lost or destroyed. As far as I am aware, there are only four remaining and three of these are held by Dover Town Council and are on display in Maison Dieu House. The first, given by Charles I (1625-1649), was in answer to an appeal made by the Mayor, Stephen Monin, in 1627. At the time, George Villiers, the Duke of Buckingham and Lord Warden, was the King’s favourite. He had embroiled the country in a war against France and some 7,000 soldiers had been impressed to sail to La Rochelle to help the plight of Huguenots (French Protestants) there. This resulted in an embarrassing retreat and the troops were returned to England with some 2,000 billeted in Dover. They were destitute, miserable and troublesome so the Mayor, Stephen Monins, applied to the King and the subsequent Charter allowed Martial Law to be instituted. Eventually, the men were marched to Portsmouth with the intention of embarking to La Rochelle again. However, before leaving, on 23 August 1628, John Felton assassinated Buckingham and the impressed men went home. 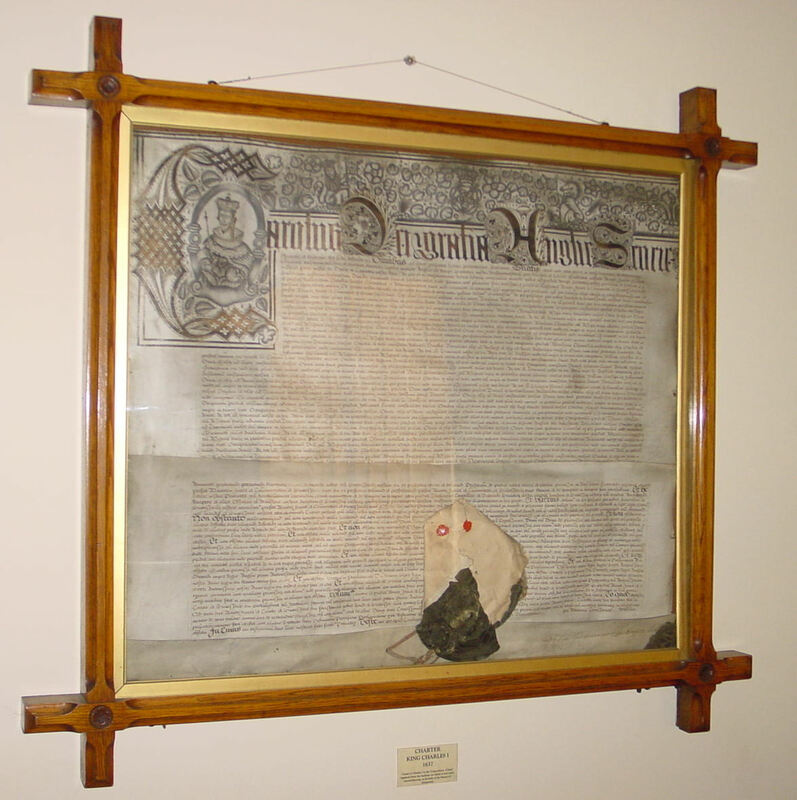 The second Charter was given in 1637 and it is ironic that it is on display in the Town Council offices. Dover council, at the time, applied to James I (1603-1625) for financial help to refurbish the harbour. However, by another Charter, dated 1606, the King had given the responsibility of the harbour to the Lord Warden and the Harbour Commissioners (now the Dover Harbour Board). The Town council were not at all happy about this and it has been a source of contention ever since. The 1606 Charter also stipulated that all reclaimed land from the base of Western Heights to the Mote Bulwark (Boundary Groyne) belonged to the new Commission. The council chose to ignore that part of the Charter and had leased the land to local Freemen who had built houses and even opened a small brewery. The Harbour Commissioners complained to the King who sent his surveyors and they upheld the complaint. In consequence, the 1637 Charter was issued and the council were ordered to pay £66 13s 11d (£66.69p) to the Commissioners for the encroachments – and told not to do it again! 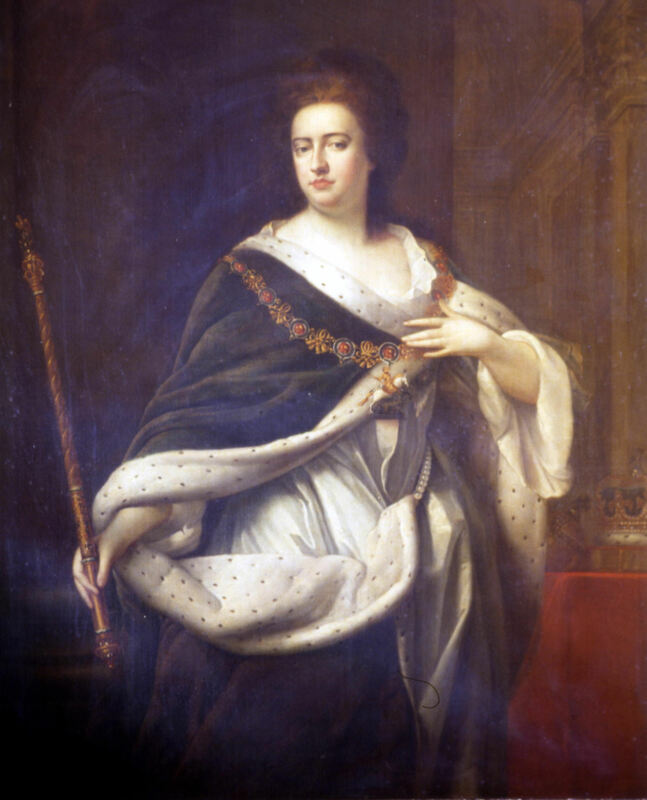 Queen Ann (1702-1714) presented the third Charter to the Town in the first year of her reign. To be pedantic, it is a ‘Letters Patent’ that proved very lucrative to the town. From the days of Edward I (1272-1304) Dover had a Bailiff, a Freeman was usually appointed by the Crown to the post. Because of his legal responsibilities he had two assistants, a Land and a Water bailiff. The first dealt with legal matters within the town the second dealt those relating to the harbour. Because of increasing legislation by the end of the Tudor period the Bailiff was replaced by Recorders, who were trained lawyers. However, it became apparent that there was still the need of a Water Bailiff to police the harbour. Although appointed by the council, he was expected to pay his own deputy and men out of revenues collected from fines. The Harbour Commissioners insisted, however, that all the fines actually belonged to them. The council appealed to Queen Anne, who was sympathetic to their cause giving all the fines imposed by the Water Bailiff to the town! Further, she also made the Water Bailiff ‘Keeper of the Prison’ with the fees for the keep of prisoners also to go into the town’s coffers. In gratitude, the town purchased a painting of their benefactor by Godfrey Kneller (1646-1723), which is now looked after by the Museum. This entry was posted in Charters, Charters, Cinque Ports, Local Government. Bookmark the permalink.